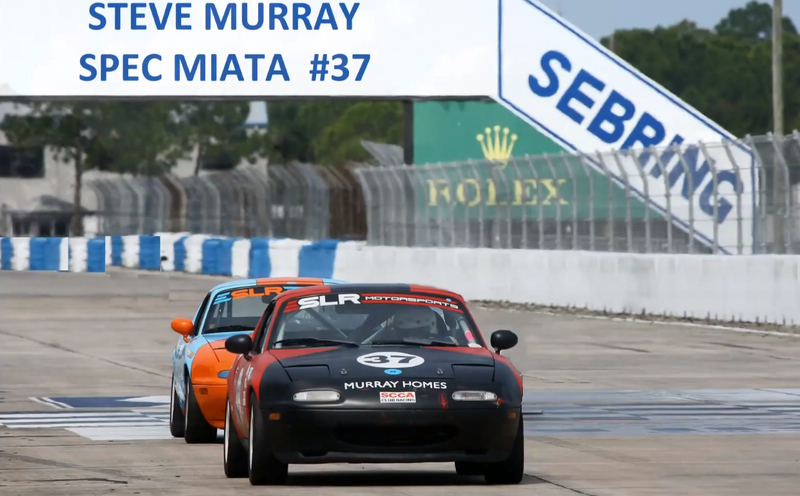 Steve Murray, owner of Murray Homes Inc., a Sarasota Florida Luxury Home Builder, drove his SLR Motorsports Mazda to victory with a first place finish of the endurance race for Production Class cars. Murray pushed his lightly modified sports car for 35 laps, more than 122 miles, at the Daytona International Speedway to finish the endurance race with the winning total time of 1:32:16.222 and one of the fastest lap times of 2:26.398. Murray Homes has had success off the track as well. Each Murray Home is built with a meticulous focus on detail. Using technology at its most efficient, materials that enhance value, and offering superior architecture and finishing is a hallmark of their work. Murray Homes commitment to the highest quality standards for building and customer service combined with unparalleled savvy for the area’s real estate market is backed by a proven track record. Professionals within the Sarasota real estate and building industry have come to rely on Murray Homes as the “go to” team for getting the most out of a luxury home purchase for clients.